This week, find out more about the book GODDESS OF THE WILD THING in an interview with its author. DISCLAIMER: This content has been provided to SHANNON MUIR’S INFINITE HOUSE OF BOOKS by Bewitching Book Tours. No compensation was received. This information required by the Federal Trade Commission. Eve Sanchez, a middle-aged woman and scholar of esoteric studies, encounters a seductive but frightening man who introduces her to a supernatural world in which the wicked powers of a surrogate mother’s twisted affection threaten love and life. In the mystic realms of Aztlan del Sur, Eve and three friends struggle with whether bad love is better than no love and discover that love is a wild thing. 1) What inspired you to write books? Books are and always have been my thing. My lovely lady, Kate, kindred soul, wife and mother of our four adult children inspired me to move into dramatic fiction. She said, “You can write visionary thrillers loaded with archetypal gusto just like you write psychology except these’ll be even more compelling, captivating, riveting! Kate’s my inspiration. 2) What do you love about writing in general? Words are a psychic narcotic, a real high. When I read good indie writers like Tamara Ferguson, Uvi Poznansky, Luna Saint Claire, Rayna Noire, David P. Permutter, and Lorraine Carey my mind is tuned in and turned on. When I write there’s a sense of being transported to another realm filled with mystery, insight, and age-old wisdom. I love it. 3) What advice can you give aspiring Authors in your genre? If you feel it do it. Doubts come, fears abound, but inspiration was there from the beginning, so see it through to the end. You felt what you felt, the need to write, so stay true to that feeling and true to your dream. 4) What’s your favorite part of being an author? Along with setting dramatic narrative and white-hot words to the page, a story building, fulminating and completing itself I love meeting wonderful readers who write and tell me of their impressions and emotions while immersed in the tales I’ve woven. 5) What is the worst part about being an author? There is no worst part. Writing is about being true to what’s in you to do, and there’s no worst part to that. There’s dark times and light times for sure; but the dark and light are the composites of shading and color and texture that take visual form in the art that is storytelling. 6) What do you do for fun? I love it when Kate and I hang together, just the two of us, and see movies, go to lunch and dinner, talk long talks, and come home and nestle into each other. That’s a fine, really fine time. 7) How do you find time to write? I write a little each day. Freud wrote a page a day. That’s a good rule of thumb for me. There’s always time for a page, and one page often leads to another and another and another . . ..
8) What is in your WIP or next book you thought about writing? After writing The Unholy and Goddess of the Wild Thing I’ve thought about resting; but the resting is in the living and writing that are an everyday experience. 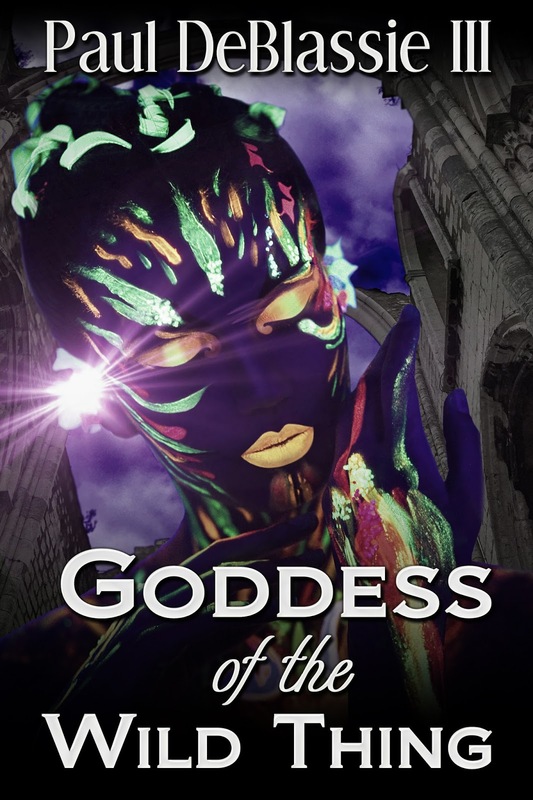 The new book The Goddess of Everything is a hottie – there’s a woman who thinks she all that and more to boot – can control, cajole, and bag whomever and whatever her nefarious heart desires. It’s a visionary thriller of mother love gone bad and a son’s desire to break free. There’s twist and turns and an unexpected heroine – The Goddess of Everything! 9) Where do you write? Right now I’m downstairs on the oak kitchen table. I used to write only in my study. I like varying it up. It keeps the flow going. The study is good, old gothic masters up there whispering in my ear. On the kitchen table is good too. They follow me down the stairs and whisper their words, dark machinations, and eye-popping revelations. I set these to page and they smile. 10) Are you a fulltime author? I am a full-time depth psychologist, therapist and writer. It all comes together in the consultation room in treating traumatized patients and on the page where trauma and despair meet the potential for hope and transformation in a rip-roaring visionary thriller. violent and bloody and made her fear for her safety. a friend and frightened soul. edgy streets with Shirley by her side, a genuine person and mystic cohort. if she needed to be. going south quicker than a rattler hisses and bites. had descended, and Eve was taking it hard. and pressed down like a heavy hand, edgy and ominous. ANIMATED INSIGHTS BY SHANNON MUIR – Not to Full Potential?